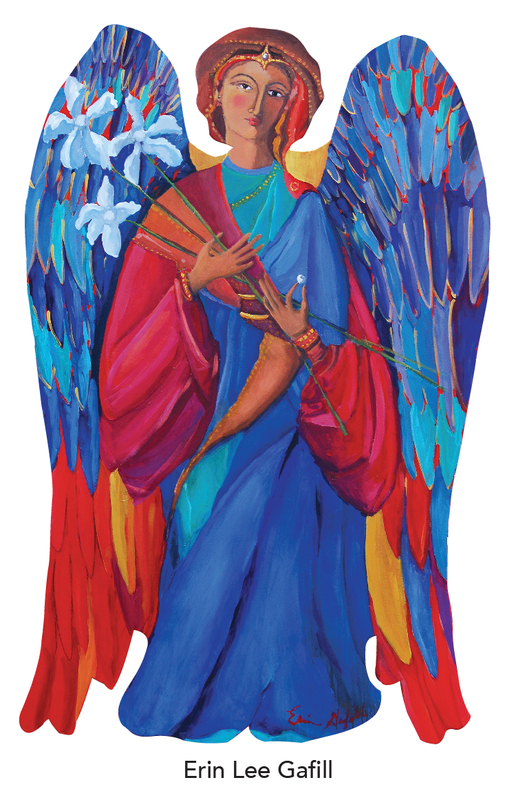 Here are the 20 angels painted by renowned local artists that will be auctioned at the “Save the Angels” fundraiser. 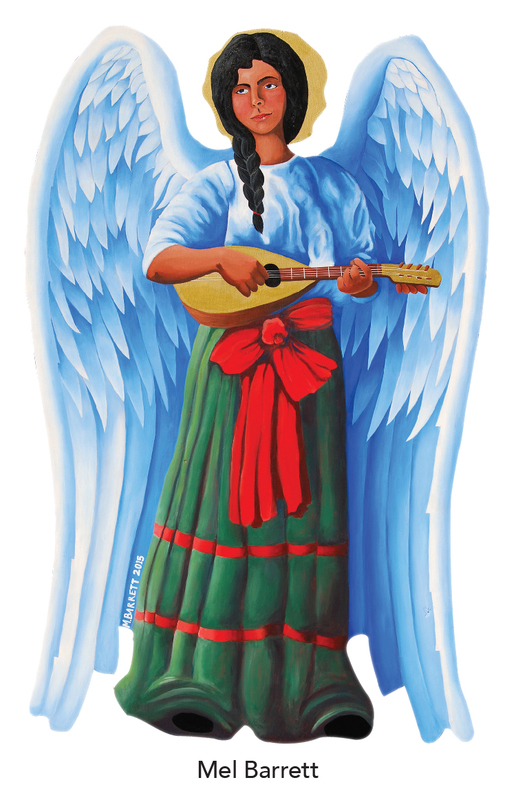 Proceeds will go towards restoration of the original historic “Monterey Christmas Angels” painted in 1956 by Erica Franke. The “Save the Angels” Auction & Reception will be held Saturday, December 5, 6–9 p.m. at the Museum of Monterey, 5 Custom House Plaza. During the night of October 14 -15, 2015, unknown criminals entered the fenced off Father Serra enclosure at the Lower Presidio Historic Park and removed the sculptured head of the Father Junipero Serra Statue. Presumably a sledge hammer was employed to remove the head, which is now missing after a search of the surrounding area. Given the recent publicity for the canonization of Father Serra, this appears to have been a juvenile political statement from one or more persons against the sainthood. Old Monterey Foundation is pleased to announce that the Community Foundation for Monterey County has favorably considered and awarded an Opportunity Grant of $4,000 to OMF for the purpose of raising public awareness for the Lower Presidio Historic Park. The Grant will pay for an initial public information program about the proposed plan to develop the Historic Park as a phased build out of the 2002 Master Plan. The Monterey Weekly has published an account of our Lower Presidio Historic Park project in its June 24, 2015 issue. Thanks so much to Dave Schmalz for getting us into the public eye. 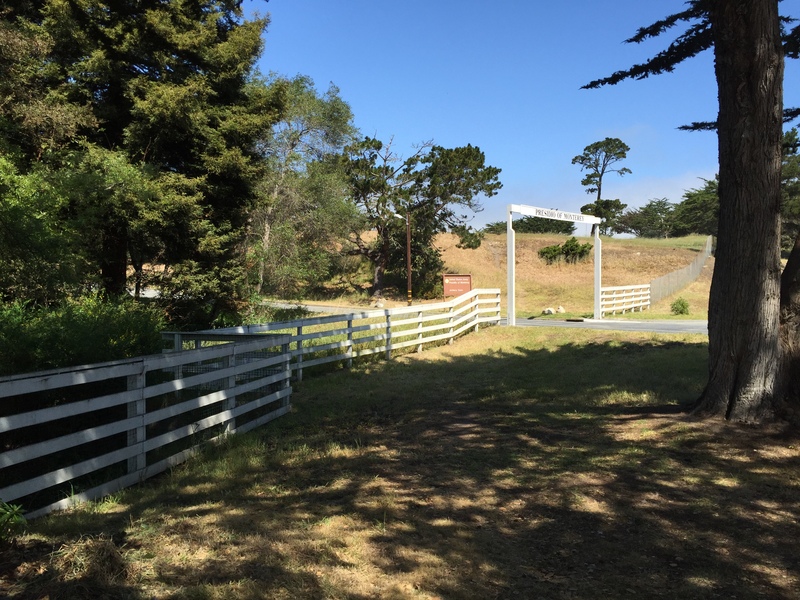 The Old Monterey Foundation has submitted an application to Monterey’s Neighborhood Improvement Committee to grant funding for preliminary development of the Lower Presidio Historic Park Master Plan. The proposal, filed on December 10, 2014, is currently wending its way through the NIP process, which consists of estimating costs by the City Engineer, presenting the actual project to the Committee van tour and testimony during regular NIP meetings at City Hall, and then competitive voting on April 23, 2015. Thereafter, the City Council reviews and approves final selection of projects for funding during June.